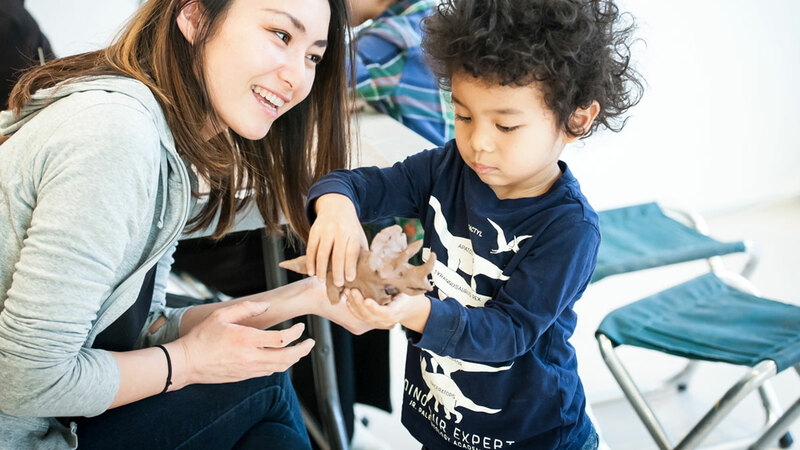 The Gardiner Museum holds clay making or tile painting workshops for families every Sunday. Check out the schedule of upcoming activities below. No registration is required! Make sure you also look for our discovery boxes, go on a scavenger hunt in the galleries, and take some colouring sheets home with you. Join us in the Laura Dinner and Richard Rooney Community Clay Studio this Sunday to be inspired by colour and create your own vibrant coasters by painting clay tiles. Mother’s Day is next weekend! Come to our Laura Dinner and Richard Rooney Community Clay Studio this Sunday to make a special gift out of clay. Spend Mother’s Day as a family in our Laura Dinner and Richard Rooney Community Clay Studio, working together on a tile coaster to celebrate your special relationship. Celebrate Asian Heritage Month this Sunday by joining us in the Laura Dinner and Richard Rooney Community Clay Studio to make dragons and phoenixes out of clay.